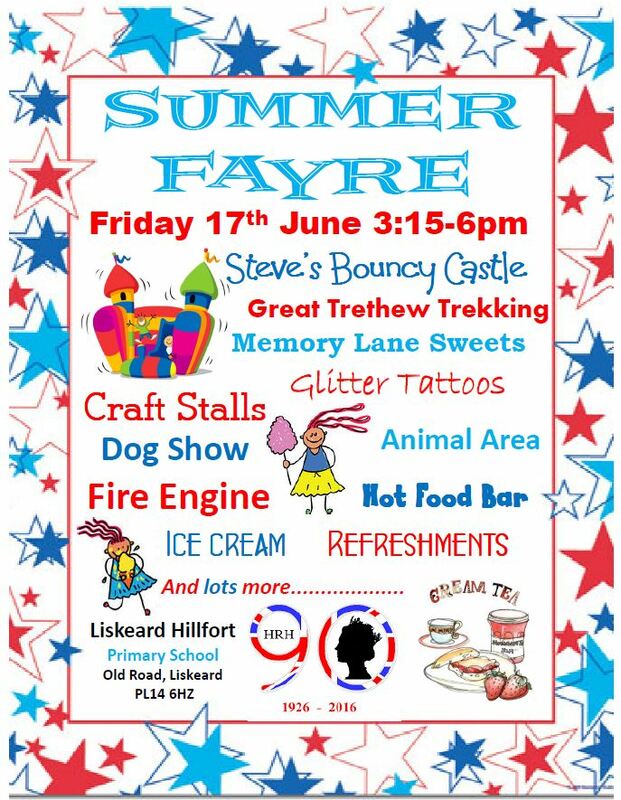 Liskeard Hillfort school are holding their annual summer fayre. 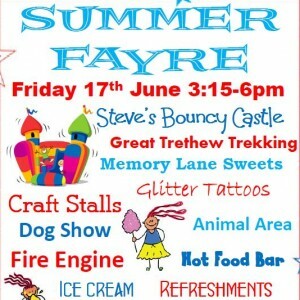 Lots of activities including Steve’s bouncy castle, Great Trethew Trekking, Memory Lane sweets, glitter tattoos, craft stalls, animal area, dog show, fire engine and more. There will also be a hot food bar, cream tea, ice cream and other refreshments.